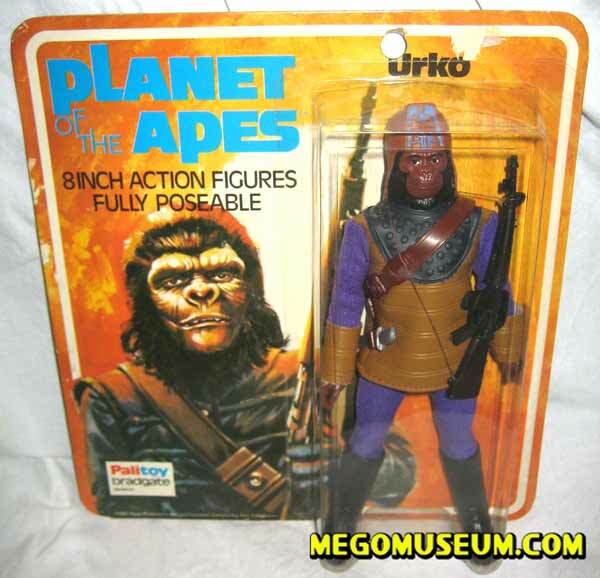 Named after a character from the Planet of the Apes TV series, this gorilla was given the most colorful outfit of this action figure series. 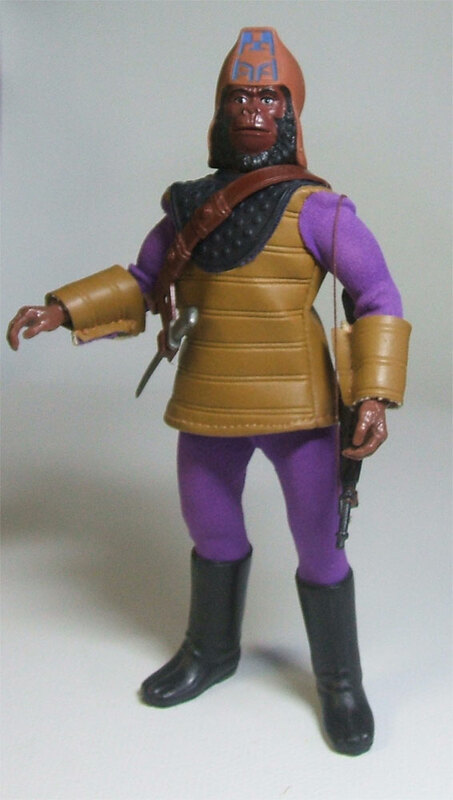 The brilliant purple was never accurate to film OR television costuming, but may have been inspired by the box art found on the Addar model kits. 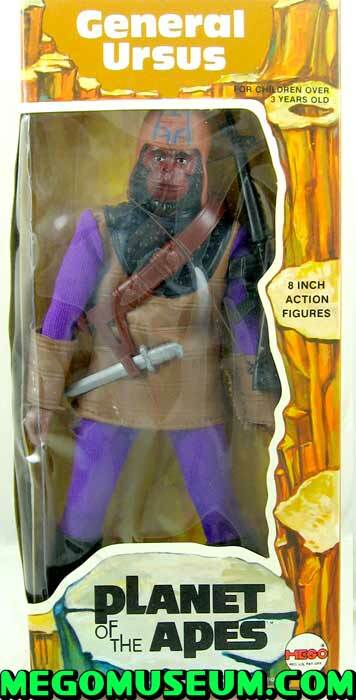 To be complete, General Urko needs the following: Purple pants, tan vinyl top with purple fabric sleeves and tan vinyl cuffs, smooth general boots (with creased toes), general’s bandolier with short sword, and m-16 rifle with string. 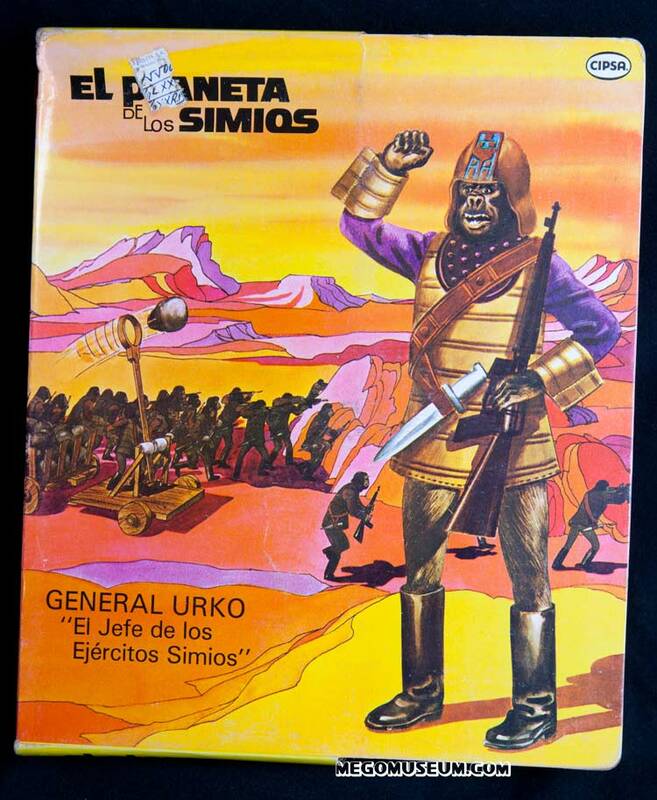 There are two confirmed versions of the general’s top: one with coffee color vinyl and one with mustard color vinyl, as seen on the right. 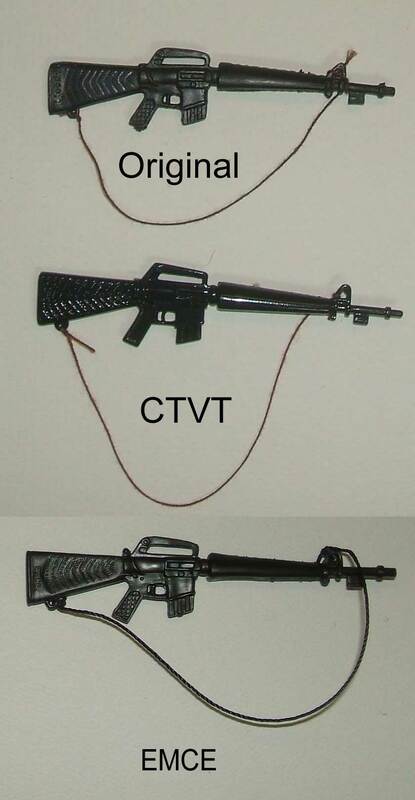 They appear to have been released in equal numbers. 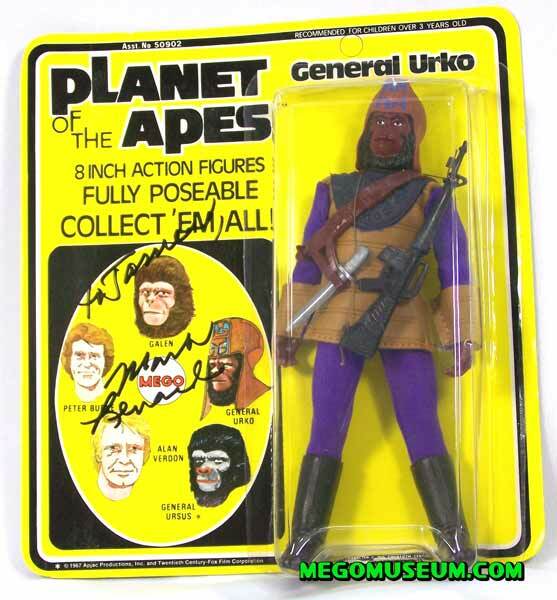 Like all of the figures in Mego’s POTA line, the General is found on both Type 1 (metal joint) and Type 2 (plastic joint) bodies. 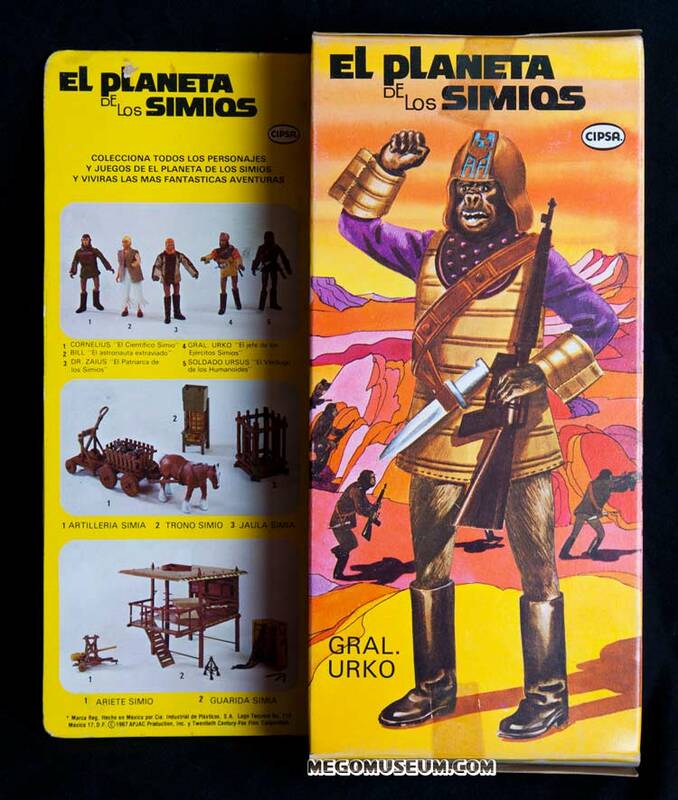 Bear in mind that this figure was released as both General Ursus AND General Urko.This all gets thrown out the window when you consider the pantless, orange cuffed Cipsa Version of General (Gral) Urko. 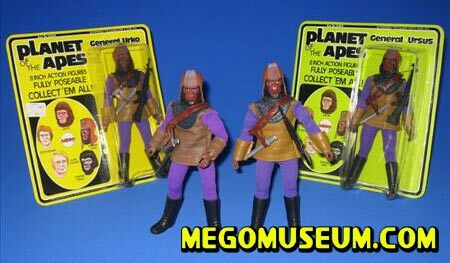 They appear to have been released in equal numbers. 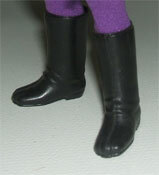 on both Type 1 (metal joint) and Type 2 (plastic joint) bodies. 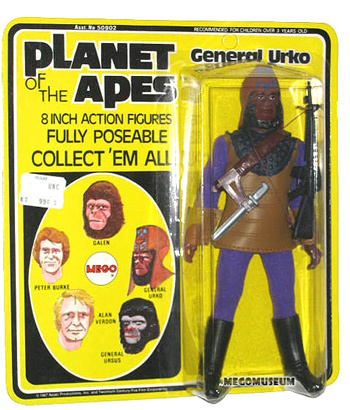 The window box lists Urko as Ursus and vise versa, picture is thanks to Mike D’Aloia. 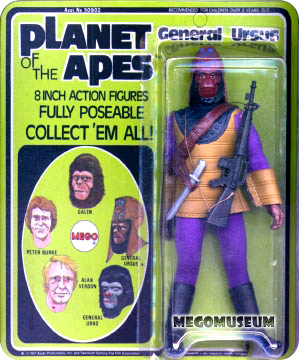 of the most desired among Ape collectors (courtesy of Will Frost). 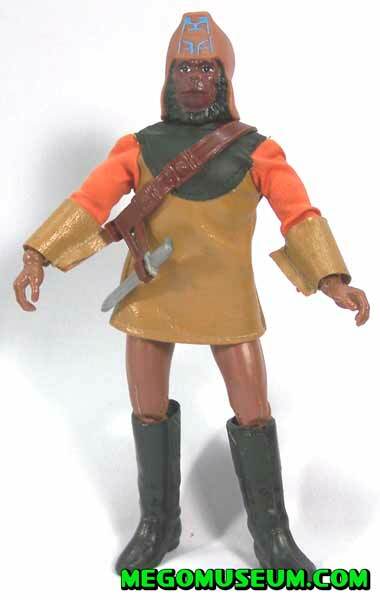 “Where are my pants?” (from the collection of Scott Miller). 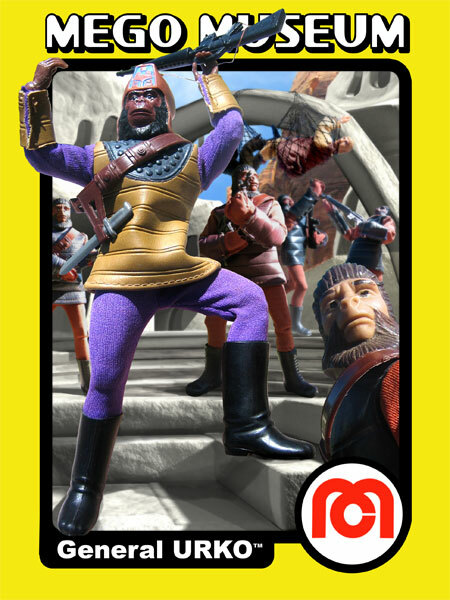 of the good General courtesy Mike J).